Everyone needs a healthy dinner to turn to on busy evenings, and this Slow Cooker or Instant Pot Jambalaya is just the answer! Everyone needs a healthy dinner to turn to on busy evenings, and this Slow Cooker or Instant Pot Jambalaya is just the answer! 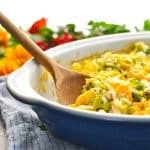 Full of chicken and shrimp for lean protein, plus plenty of nourishing veggies, this easy dinner recipe will fill you up and keep you cozy on a cool night! Hi, friends! 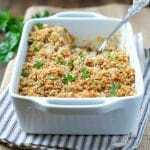 Since the weather is still chilly, and my life is still busy 😃, I’m back today to share another simple and healthy comfort food recipe! A traditional jambalaya typically includes sausage of some sort, but I kept this particular recipe easy and light with just the addition of chicken and shrimp. That said, I’ve included instructions and suggestions below for adding sausage as well if that’s your preference. I’m showing you how to make jambalaya in a pressure cooker, but I’ve also included the slow cooker instructions below. The Crock Pot cuts down on the hands-on time, but it just requires you to plan a bit in advance and allow enough time for the low-and-slow cooking process. 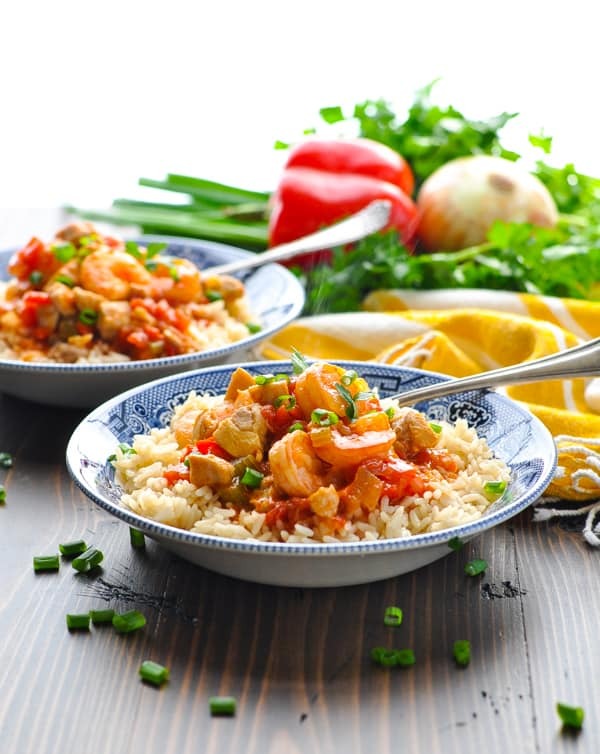 No matter which method you choose, the Chicken and Shrimp Jambalaya will taste delicious! First, sauté diced chicken thighs just until browned. Transfer the chicken to a bowl, and then sauté celery, onion, bell pepper, Cajun seasoning, garlic and salt. 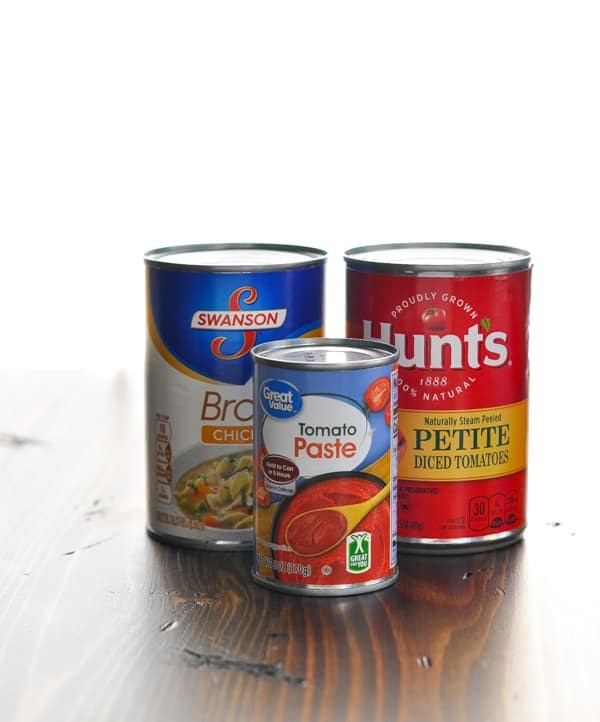 Once the vegetables are tender, add chicken back to the pot, along with tomatoes, broth and tomato paste. Give everything a good stir and close the lid. In the Instant Pot, cook the jambalaya on high pressure for 10 minutes. 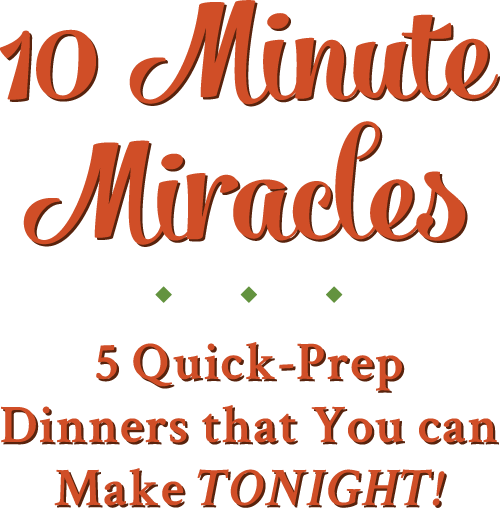 In a slow cooker, just dump everything into the pot and cook on LOW for 4-5 hours or on HIGH for about 2 hours. At the end of the cooking time, add the shrimp to the pot and cook on the “sauté” function for about 5 more minutes (or in the slow cooker for about 15 more minutes). Serve the slow cooker or Instant Pot jambalaya over rice and garnish with fresh parsley or sliced green onions. A Cajun feast is ready! 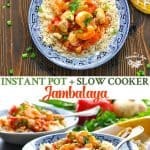 CAN YOU FREEZE INSTANT POT JAMBALAYA? Yes! 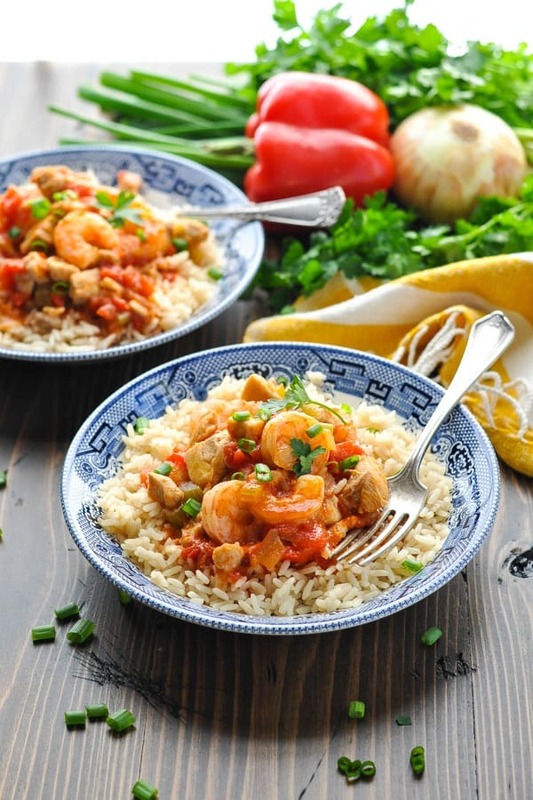 The texture of the shrimp may be different after thawing, but the jambalaya will still taste great. I do NOT recommend freezing leftover jambalaya with rice, since the rice may be slightly mushy after thawing. 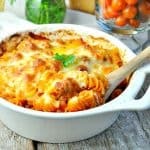 WHAT SHOULD I SERVE WITH JAMBALAYA? To add sausage to your slow cooker jambalaya: brown sliced kielbasa in a skillet. Add the browned kielbasa to the slow cooker along with the chicken and other ingredients. Proceed with the rest of the cooking instructions. To add sausage to your Instant Pot Jambalaya: brown sliced kielbasa in the Instant Pot at the same time as you brown the chicken. Remove the chicken and sausage as instructed, and proceed with the rest of the cooking instructions above. 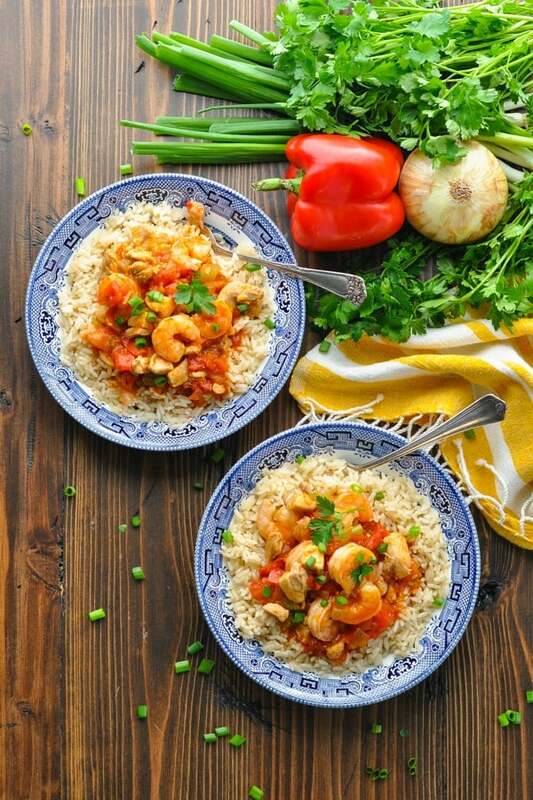 Make your Instant Pot Jambalaya with any combination of protein that you prefer: use only shrimp (increasing the amount by 1 lb. 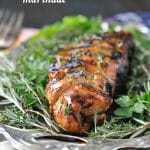 ), or use only chicken (increasing the amount by 1 lb.). 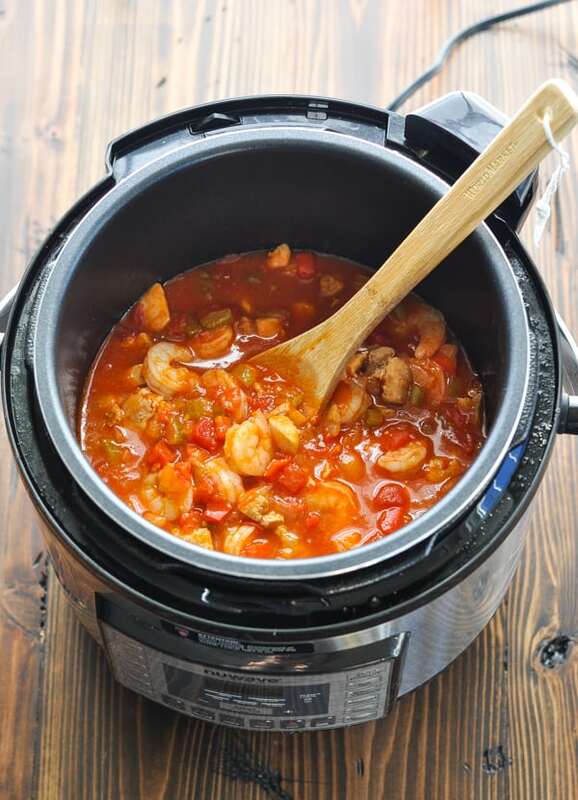 You can also make Instant Pot Jambalaya with no shrimp by substituting about 1 lb. of sausage for the shrimp. 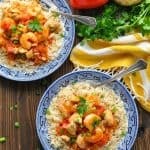 Make an Instant Pot Jambalaya with Shrimp and Sausage by omitting the chicken and adding about 1 lb. of sausage instead. 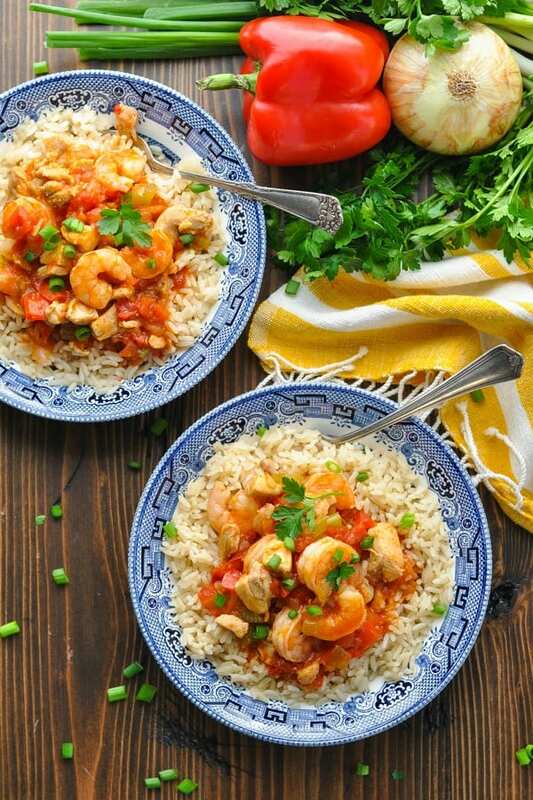 For a lighter, healthy, grain-free option, try serving your Instant Pot Jambalaya with cauliflower rice! And the recipe for Jambalaya is below! Select “sauté” on the Instant Pot and adjust to “normal.” Add 1 tablespoon of vegetable oil to the pot. When hot, add the chicken. Cook for 5-6 minutes, or until browned. 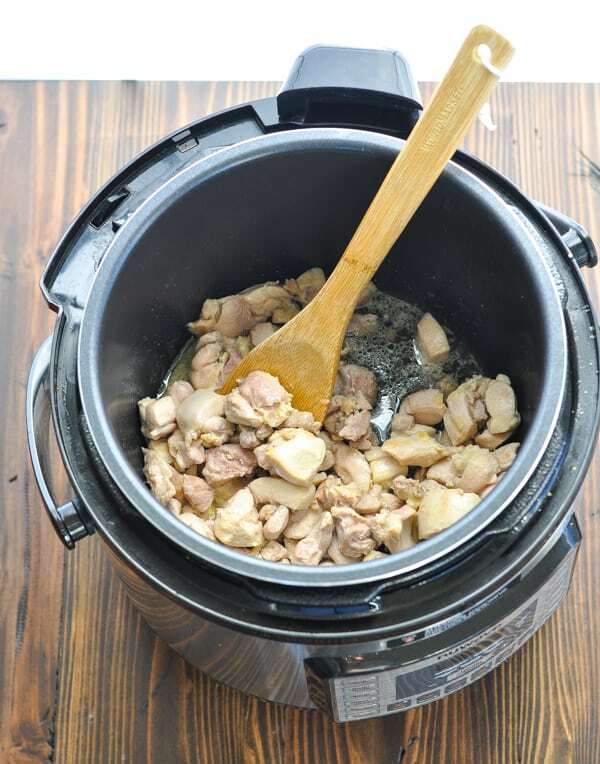 Using a slotted spoon, transfer chicken to a bowl (leave oil in the pot). Add chicken, tomatoes in their juices, 1 cup of broth, and tomato paste to the pot. Secure the lid on the pot. Close the pressure-release valve. Ladle the jambalaya over the rice and garnish with parsley or green onion. Optional: If you’d like to add sausage to your jambalaya, you can do so by browning sliced kielbasa in the Instant Pot at the same time as you brown the chicken. Remove the chicken and sausage as instructed above, and proceed with the rest of the cooking instructions above. 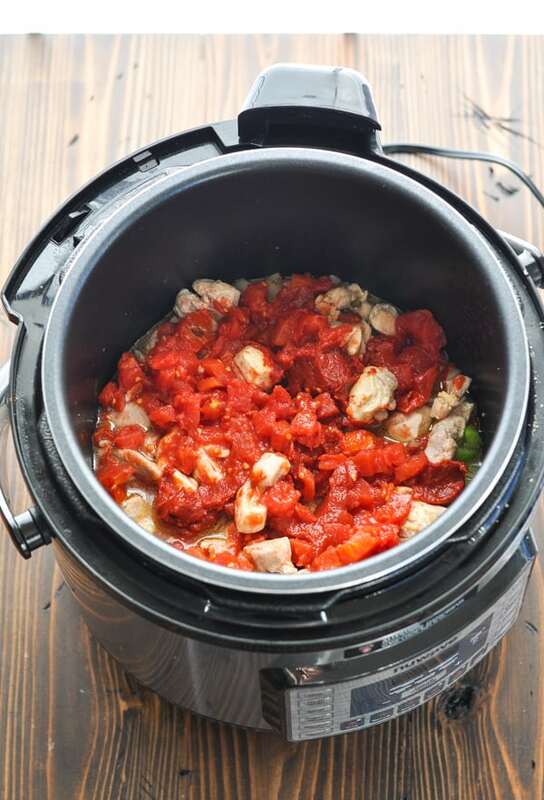 In slow cooker, stir together chicken, celery, onions, bell pepper, Cajun seasoning, garlic, salt, diced tomatoes (in their juices), broth and tomato paste. Cover and cook on low for 4-5 hours (or on high for 2 hours). Stir in shrimp, cover, and cook for an additional 15-20 minutes (or just until shrimp turn pink), stirring once. Serve over rice and garnish with parsley or green onion. Optional: If you’d like to add sausage to your jambalaya, you can do so by browning sliced kielbasa in a skillet. Add the browned kielbasa to the slow cooker along with the chicken and other ingredients. Proceed with the rest of the cooking instructions. 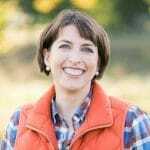 This post was originally published in January, 2016. It was updated in February, 2019. Thanks, Gayle! We’re currently getting pummeled with snow, and I’m thinking that I need to throw another batch into my crock pot too! You know I’ve never made jambalaya? I just may need to get on that. I’ve been craving these flavors, but don’t feel like doing the work. Megan, you NEED to try this! It’s got some nice spice, but it’s not ridiculously hot. The flavors are all there in a lightened-up way!